Nam Ho Travel is a well-known travel and tour agency that offers a comprehensive range of creative travel services to both all travellers coming from near and far. Being partners with Easibook.com, now Nam Ho Travel will be offering its express bus services here at Easybook.com to customers which will be by bus from Singapore to Desaru, Johor. 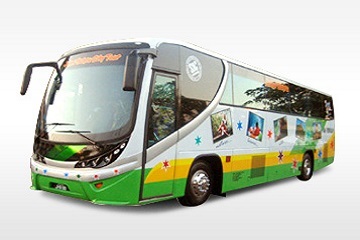 Customers can book the 2 way transfer by Nam Ho Travel express bus tickets online with Easibook.com as the fairs are pretty reasonable. Pearl's Centre, 100 Eu Tong Sen Street, Singapore 059812.